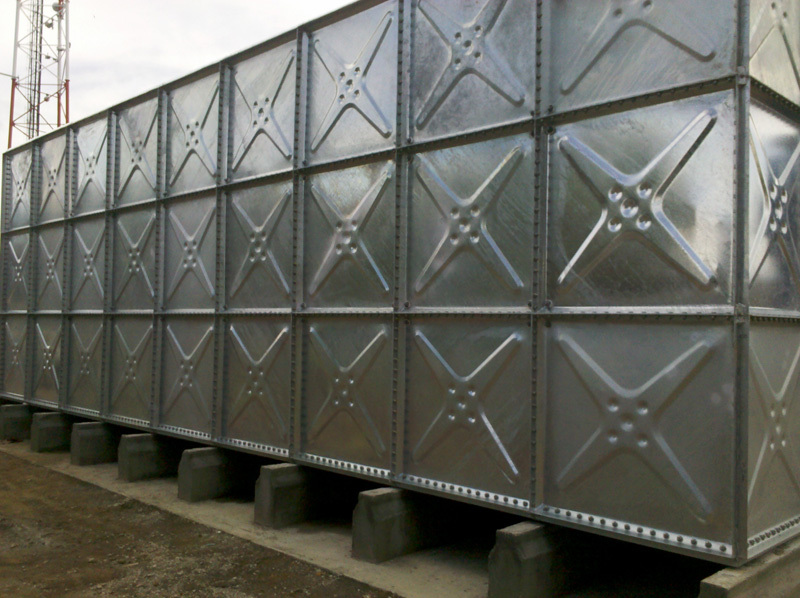 Pressed steel sectional water tank constructed with hydraulically pressed flanged panels. The tank panel, stays and cleats are made from Stainless Steel Grade 304/316. Stainless Steel Grade304/316 bolts, nuts and washer. Nontoxic PVC foam to be used for all jointing between tank panels and flanges. Panel type tank cover supported by trusses and poles 600 x 600 square manhole and supplied as standard for each compartment. Short pipe with flange or socket for all pipe connections. Internal ladder shall be made of Stainless Steel 304/316 and aluminum for external ladder.